Glaucoma is a sight threatening disease that often goes unnoticed, until it becomes very severe. The worst part of it is, once you lose the vision, you will be unable to recover it even after you start treatment. The best way to monitor for glaucoma is to see your eye doctor on a regular basis. He or she will be able to test you by checking your eye pressure and perform other test to determine the absence or presence of glaucoma. For some people, glaucoma testing may be extensive and may require repeating tests annually. Since glaucoma treatment is indefinite, we as eye care providers want to be certain before starting a patient on drops or recommend surgical intervention. If you’ve worn contact lenses, you know how easy it can be to let things slip a little. Maybe you don’t wash and dry the case every day. Or you wear lenses in the shower. Or you try to eke a bit more wear out of a pair. Well, the Centers for Disease Control and Prevention is on to us, and it has a message: Stop it. Improper contact lens use is the major risk factor for infections of the cornea, the clear covering of the eye, and those send people to the doctor or emergency room almost 1 million times a year, according to a CDC study published Thursday in Morbidity and Mortality Weekly Report. It’s the first national look at the issue. “I think we have badly underestimated the frequency of this problem,” says Dr. Thomas Steinemann, a professor of ophthalmology at Case Western Reserve University and a spokesman for the American Academy of Ophthalmology. He’s surprised by both the number of people who end up with keratitis and the cost of treating it: $175 million a year. Most infections can be treated with antibiotics, but in some cases they can cause permanent eye damage or blindness. The data sets used couldn’t identify which of those 1 million people were wearing contact lenses. But about 38 million people do wear lenses, which is known to greatly increase the risk of cornea infections. So the CDC focused its message on getting lens wearers to shape up. But he knows we’re fallible. “People cut corners. We’re all busy.” Steinemann estimates that people do the right thing less than 20 percent of the time; other studies have been even more pessimistic. Good care includes cleaning and disinfecting lenses every day, cleaning the case and changing the solution every day, and washing hands before touching lenses. Also not showering, swimming or otherwise getting lenses near water, which harbors amoebas and fungus and other nasty stuff. Sleeping in lenses is particularly bad for the cornea, because lenses reduce oxygen flow to the eye. And even well-cared-for lenses need to be thrown out after a few weeks. “They do wear out,” Steinemann says. There you go. Can’t say you weren’t told. Clinical studies of conjunctivitis with laboratory confirmation indicate that it’s often difficult to differentiate bacterial from viral forms of acute conjunctivitis by relying on signs or symptoms or both.8 In past studies, corneal and external disease specialists’ clinical diagnosis of adenoviral conjunctivitis had laboratory confirmation in only 20-25% of cases. 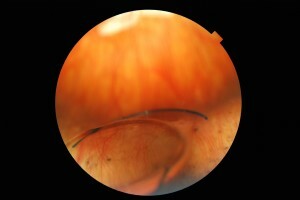 For that reason, this study utilizes a rapid immunoassay applied to conjunctival scrapings (Figure 3) that can be performed in the examining lane and quickly and easily processed by a technician. 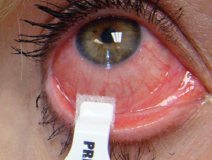 Conjunctival scrapings can be processed for adenoviral antigens in approximately 10 minutes using the RPS Adeno Detector Plus immunoassay for in-office detection. The RPS Adeno Detector Plus is a point-of-care immunoassay that has 93% sensitivity and 96% specificity. It takes approximately 10 minutes to perform. The monoclonal antibodies used in the assay detect all 53 adenoviral serotypes. The device has a self-contained element used for conjunctival scraping and a colorimetric binary readout similar to urine pregnancy tests. This assay is FDA 510(k) cleared, CLIA-waived and commercially available. It has a unique Medicare procedural CPT code, 87809qw, which more than covers the cost of the test kit. The agreement is among recent moves into the health care sector by technology giants including Apple and Samsung as they develop devices and mobile applications to track people’s daily lives. Novartis said that Alcon, its eye care unit, had struck a deal to license so-called smart lens technology from one of Google’s research divisions. Financial terms were not disclosed. February 2013 — Do you ever store your daily disposable contacts in their packaging and then use them again the next day? If so, you’re risking an eye infection. In a study, 20 people wore their daily disposables for one day, then stored them overnight in the original blister pack solution, covered with the original packaging foil. The next morning they used new plastic forceps to transfer the lenses and solution to a new contact lens case, which was submitted to a lab. The participants did this on five occasions within a month. The lab compared the 200 samples with a control group of new daily disposable contacts and packaging solution. The lab found that 45.5 percent of the samples had growths in the solution, and 21.5 percent of these had Staphylococci, while 28 percent had gram negative rods. 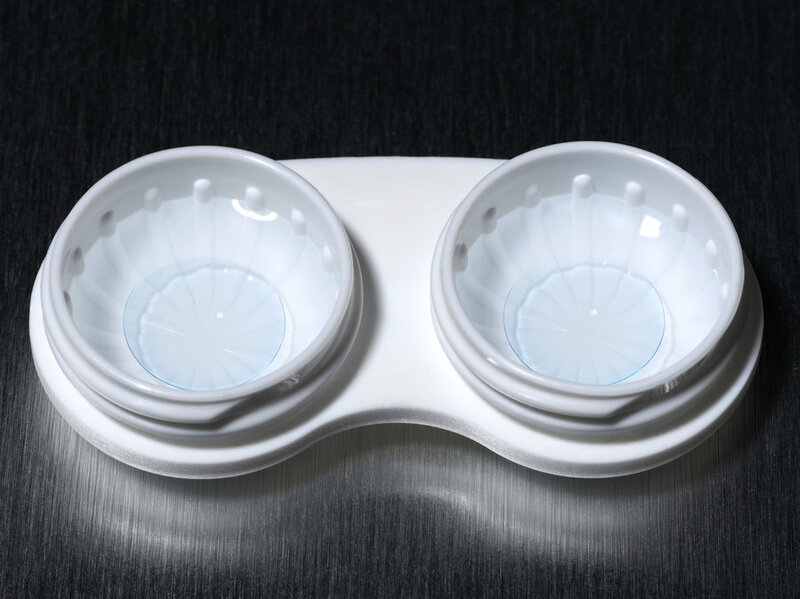 For 95 percent of the participants, at least one pair of contact lenses was contaminated, and for 35 percent, all samples were contaminated. The study appeared in Optometry and Vision Science, volume 88, issue 12. A lens implant that got dislocated after trauma.